12 mins - Arsenal 0 Norwich City 0: Chants of "It's all out fault" can be heard while disagreements between individual supporters can also be seen on television cameras. 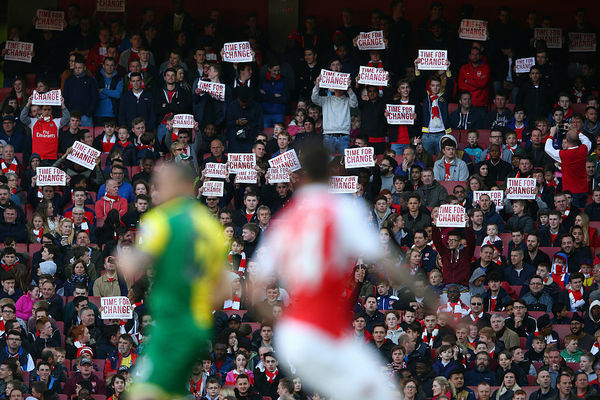 Placards with "Time for change" feature prominently but the pro-Wenger contingent are making their voices heard also. Not quite mutiny in north London just yet. "One Arsene Wenger" is then barked by the majority.